Earlier this year we were in New York to launch Green Kitchen at Home. We had a blast doing a live cooking session at Food52, teaching a cooking class and had a book signing in a tiny but packed little store in Greenwich Village. But what I really wanted to talk about today was our night off. When we tucked baby Noah (formerly known as Gabriel) to sleep in his stroller and headed to ABCV for dinner. Side note: You should know that for being a food writing couple, Luise and I very rarely go out and eat at proper restaurants. With kids, it’s just easier to do takeaway or pick places where it’s okay that they climb, run and crash. Also, fancy restaurants make me feel awkward. But we had an epic evening at ABCV. We tried the tasting menu of which I can’t even remember half of the dishes. But I know that there were simple crudités with lots of spreads, some kind of soft beet carpaccio/tartare with a little bit of sting to it, a whole roasted cauliflower with turmeric tahini dressing(! ), avocado lettuce cups, roasted shiitake and a couple of desserts. And what made the evening even better was that Noah slept through almost the entire dinner (thank you jetlag!). We have been talking about that beet carpaccio (and the cauliflower with tahini turmeric dressing) a few times since we got back. 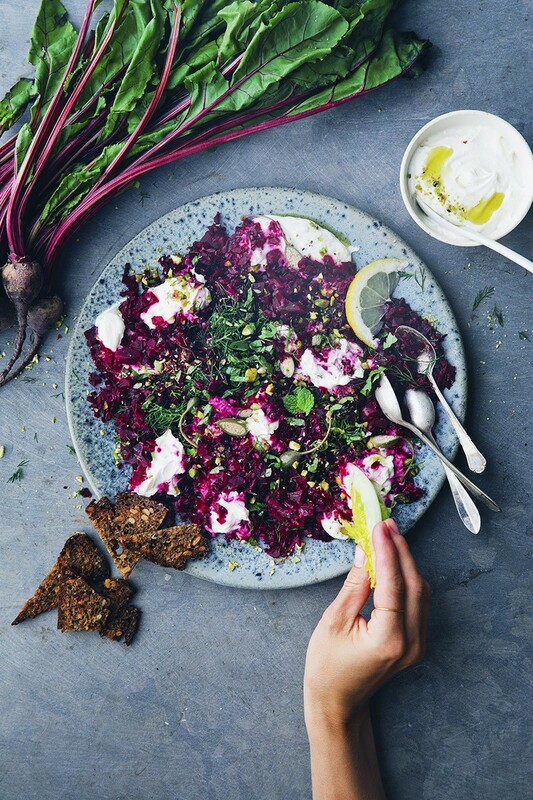 And when Luise recently spotted a recipe for roasted beets and sesame labneh in the latest issue of Jamie Magazine, we started talking about it again. 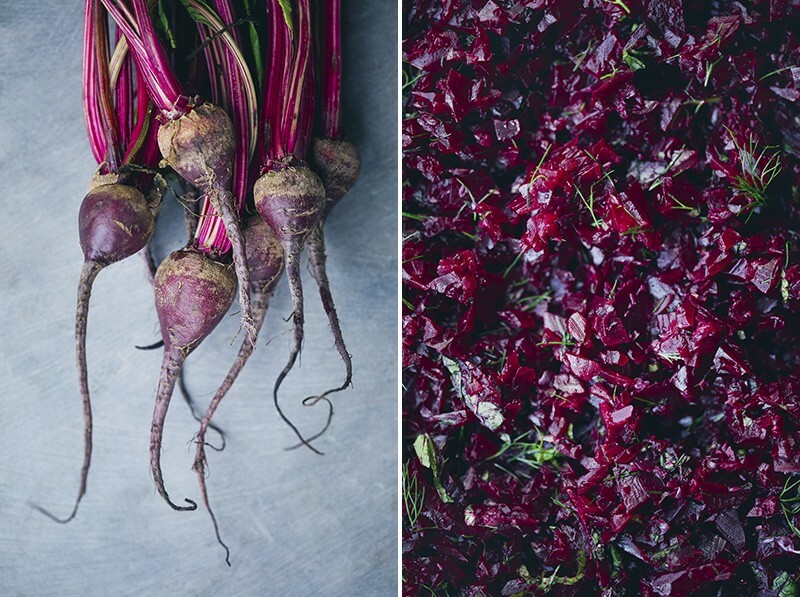 Looking through our recipe archive, it is pretty obvious that we’ve got a love for beets. They are sweet and mildly earthy, have an awesome color, can grow in our harsh Swedish climate and are cheap! What’s not to love? So a couple of days ago, we picked up a few bunches of beets, started cooking and here we are. 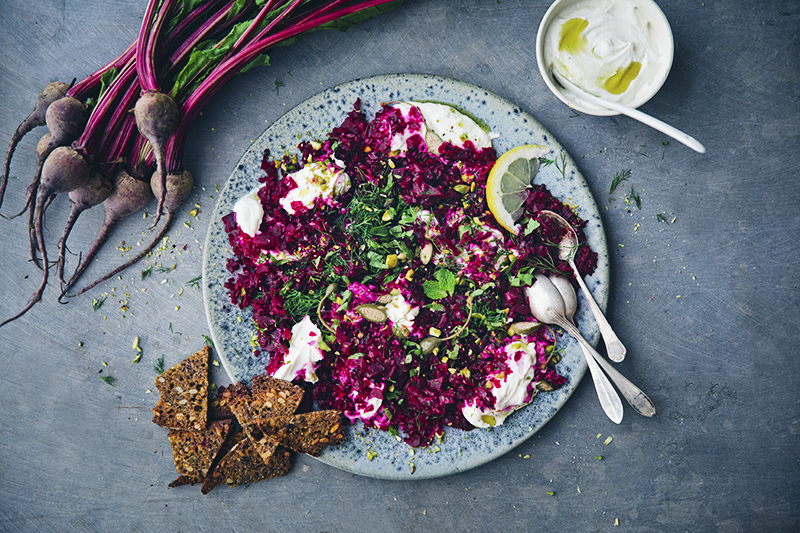 With some kind of beetroot tartare (mixed minced beets), dollops of sesame labneh and a few suggestions on what can be used to scoop it into your mouth, apart from crackers. And as a last minute contribution, we are also offering a less fancy way of serving this, inside a rye waffle toast (yup, you might want to scroll down to it right away). This recipe is great as a starter, at a buffet table or a party. It’s pretty and impressive, creamy and delicious with plenty of flavor from fresh dill and mint and a little sting from horseradish. 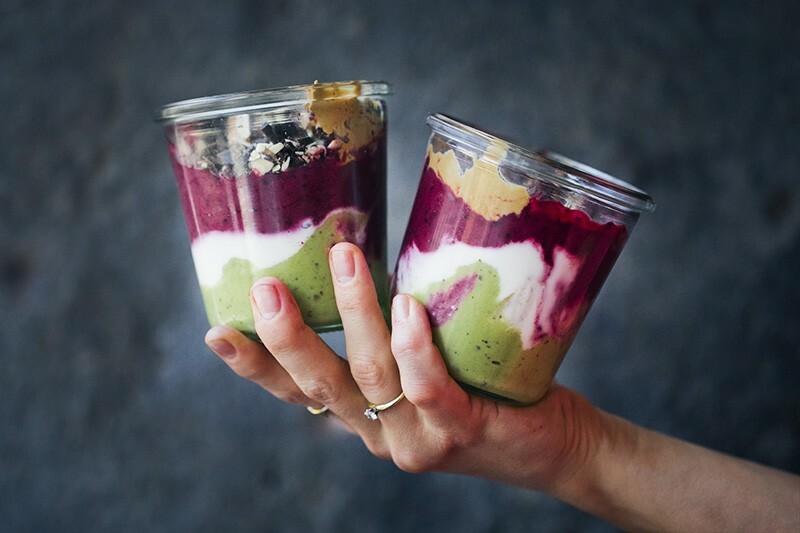 Since we love yogurt just as much as we love beetroots, we invited labneh (yogurt’s fancy cousin) to the party. 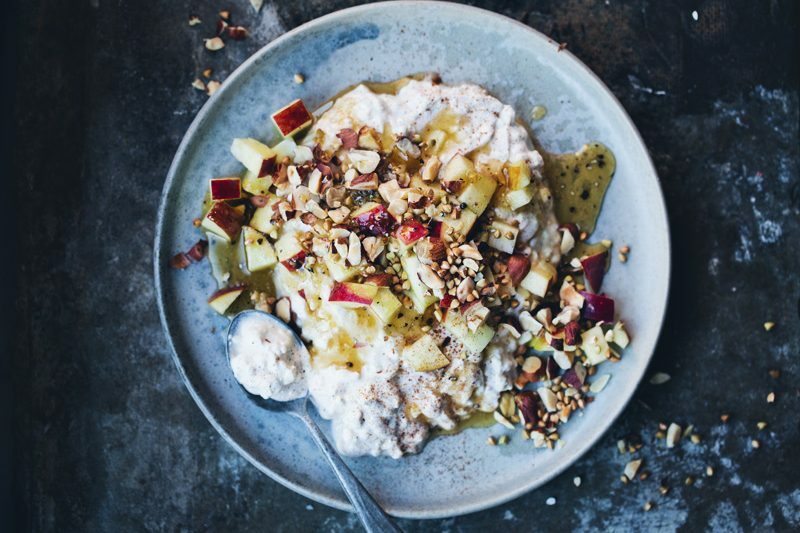 We totally stole the idea to mix tahini into labneh from that Jamie Mag article. You should too. You need at least two hours to let the yogurt drain into labneh cheese but I’m still going to claim that this is an easy recipe – only a few ingredients and apart from draining the yogurt, it’s all pretty quick. I imagine that a quick cheat version could be accomplished by simply using thick yogurt without draining it and buying pre-cooked beetroots. I can’t promise that it will be as good, but it’ll at least be quick and effortless. Okay, I can hear Isac trying to teach baby Noah how to roar like a lion with the only result that little brother cries like a baby. So I better post this now before major chaos is breaking out. No proofreading needed because yolo. Enjoy the recipe and check out info below re Amsterdam. Ciao! Recipe is inspired by a recipe from Jamie Magazine, Aug 2017 and a dinner we had a ABCV NYC. Start by making the labneh. Add salt to the yogurt and stir until smooth. Wrap the yogurt in a cheese cloth or other clean thin cloth and tie it over a bowl for about 2 hours or more to allow liquid to be drained (meanwhile, cook the beetroots). You can leave it for 24-36 hours if you prefer a thicker labneh but 2 hours and a gentle squeeze (to get rid of some extra liquid) works fine. Stir in tahini, transfer to a serving bowl and top with a little bit of olive oil. Peel the beetroots, divide them in quarters and cook in salted water for approx 20 mins min or until tender. When ready, let cool and then transfer them to a food processor along with capers, lemon juice, horseradish, fresh dill, mint and seasoning. Pulse a few times until the beetroot has the consistency of course grits. Not too much though or you will end up with a sauce. You can also dice them finely. Arrange the beet tartare on a large serving plate. Fold in large dollops of sesame labneh and top with pistachio, fresh herbs, capers and lemon slices. 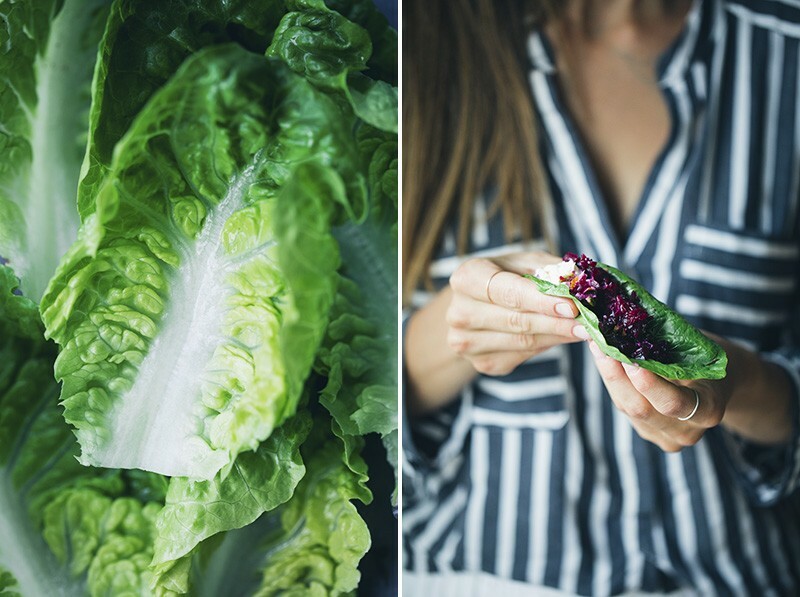 Add a drizzle of olive oil and serve with crackers or thin rye bread crisps (thin rye bread pieces toasted in a pan or the oven for a couple of minutes), tender gem lettuce or cucumber slices to scoop with. We made this Waffled rye bread toast with the leftovers. It’s a family favorite and we’ve got another recipe and the whole story behind this method in our latest book. 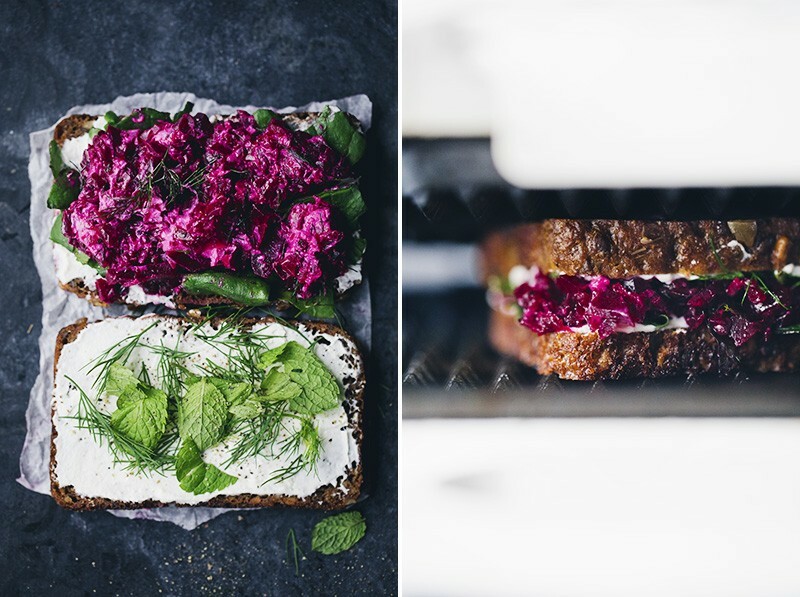 Here are some quick instructions: Simply smudge labneh on two pieces of dark rye bread, add some spinach, fresh dill and mint and a thick layer of beet tartar. Brush a hot waffle iron with butter or coconut oil, combine the two slices and place inside the waffle iron, pressing together lightly. When you’re bread has got a nice and brown waffle pattern, the toast is ready. Cut the waffle toast in half and eat it while it’s hot. 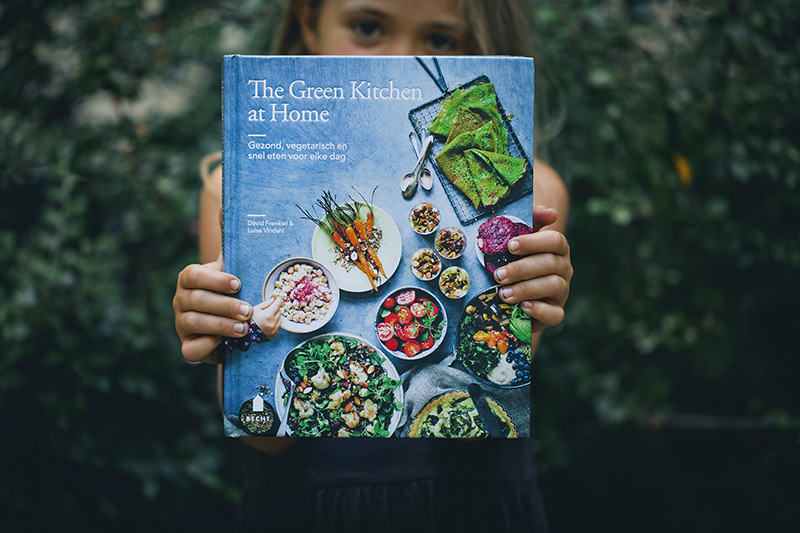 Green Kitchen at Home is being released in Dutch next week and to kick things off, we are coming to Amsterdam and Antwerp for a couple of press events, signings, dinners and talks. 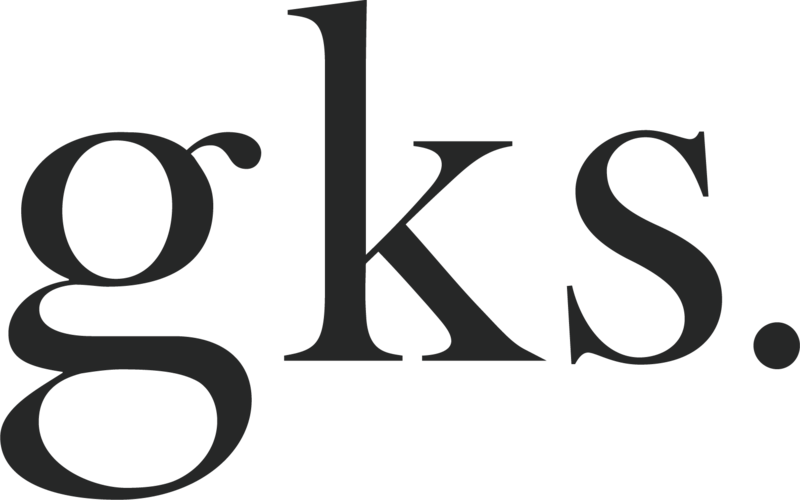 We will have a little talk, signing and dinner at the bookstore ‘t Stad Leest in Antwerp at 19.30 pm on 7 September. Tickets can be booked here. I love beets. So many people tell me they don't like beets, but I have no idea why. I think they're perfect in salads and all types of recipes. This recipe looks delicious. Thanks so much for sharing. mmmmmm!!! These look so amazing! Loved hearing the backstory, yet again! 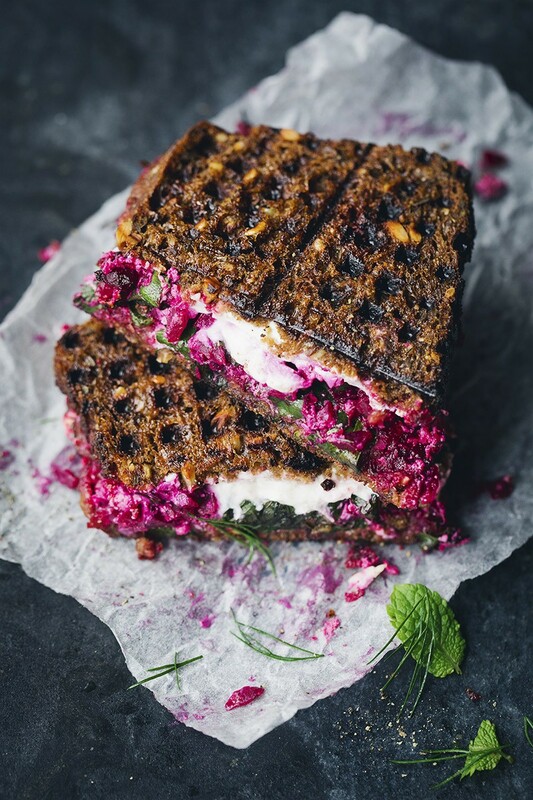 I've been eyeing your rye waffle toast in the book and this beet version is just as enticing! Your At Home book is by far the most accessible, practical, yet creative and inspiring cookbook I've come across in a while. Thank you! Any plans to make it to Madrid for a talk and signing?! Big fan of your blog and books! 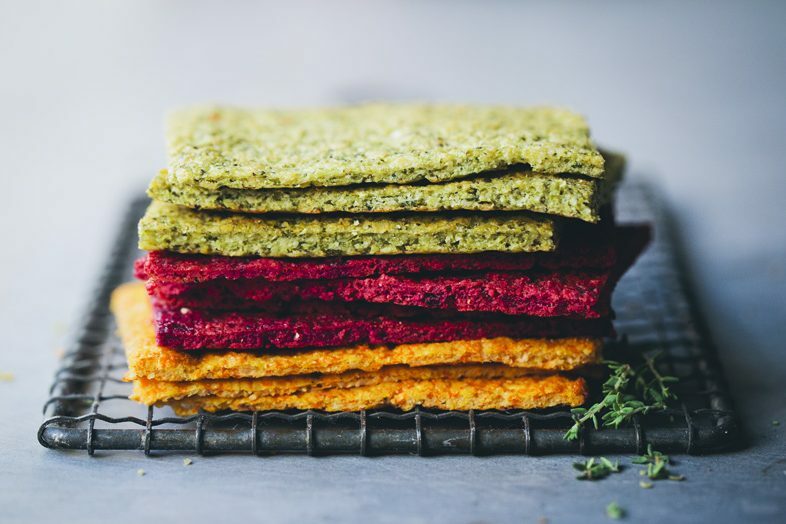 The colours on all your recipes are just amazing :) Where do you find cheese cloth in Sweden? I made Labneh before but couldn't find it ... (I live in Gothenburg) Thanks! The colors in this dish are amazing! Love the pictures, thanks for the recipe share! This sounds and looks extraordinarily gorgeous! I might actually make the sesame yoghurt sort of into a dressing. 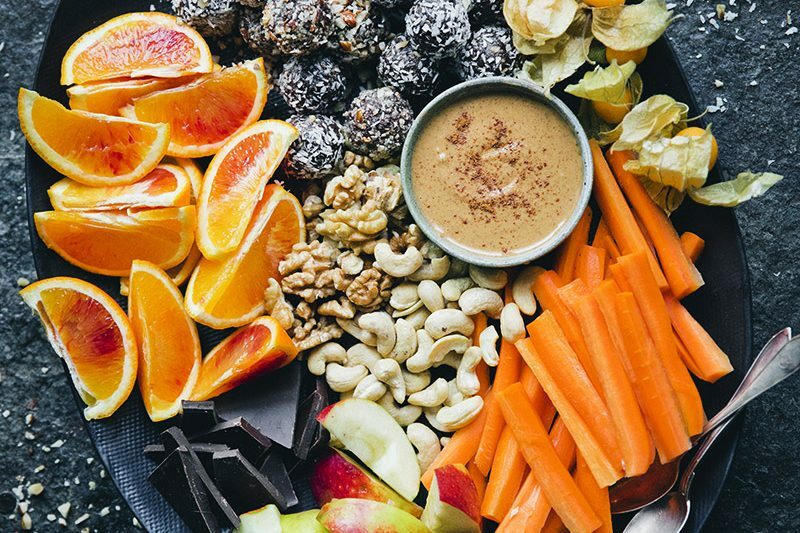 This dish looks amazing and delicious and also healthy. I love to try different dishes, Thanks for sharing the recipe. I love how you continue to weave tidbits of your blogging process, balancing three children, and parenting into your posts. And also, I can't wait to try this! If ever I visit NYC, I'll definitely have to check out ABCV! I envy everybody who was able to attend your live demo in New York! It must have been such a wondrous experience. Anyways, this beet tartare looks divine! I would love to try making it one day! your food is always so colorful! gorgeous and i bet delicious too! !